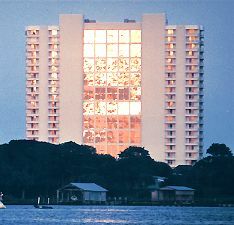 This 23 story, 170 unit building offers direct ocean front two, three and four bedroom units with an abundance of amenities including an indoor heated swimming pool. 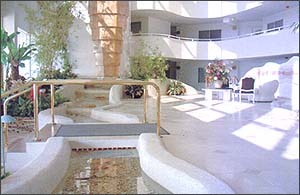 A 23-story atrium lobby complete with a three story fountain and quiet stream make this lobby one of the one of the most beautiful on the beach! or the indoor heated pool. 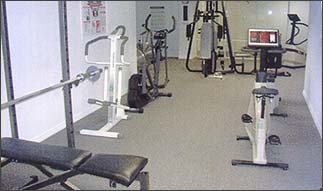 This exercise room is just one of the amenities located on the ground level. Other features include a whirlpool, saunas, game room & library.